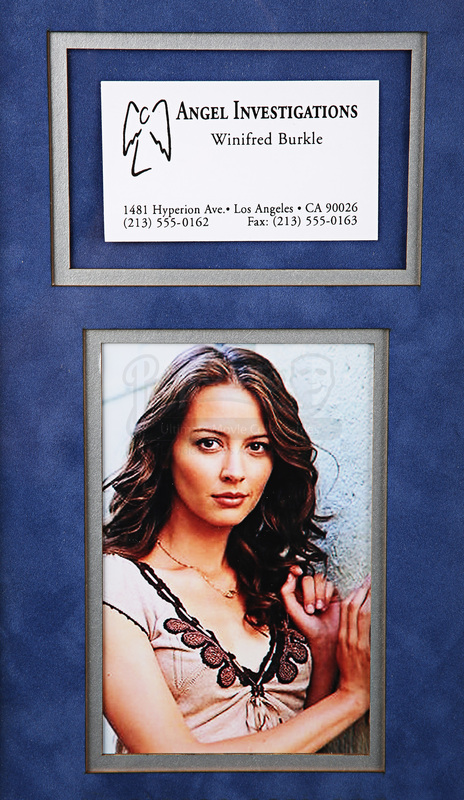 Winifred Burkle’s (Amy Acker) business card and a promotional flyer used in Joss Whedon’s acclaimed television series Angel. 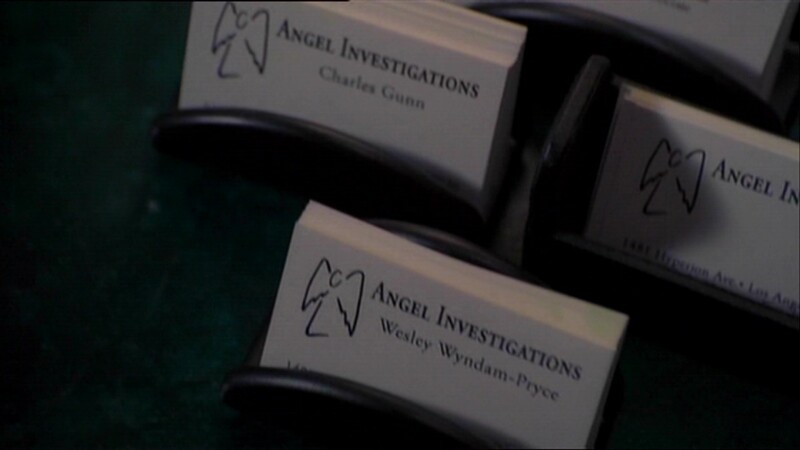 This style of business card was used throughout the series and was first seen in Season Three episode 4 ‘Carpe Noctum’. 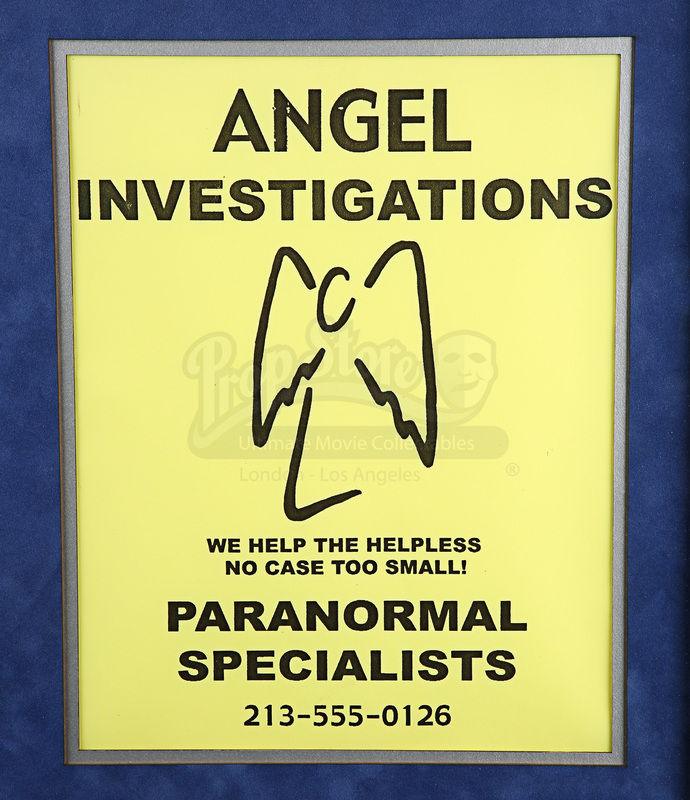 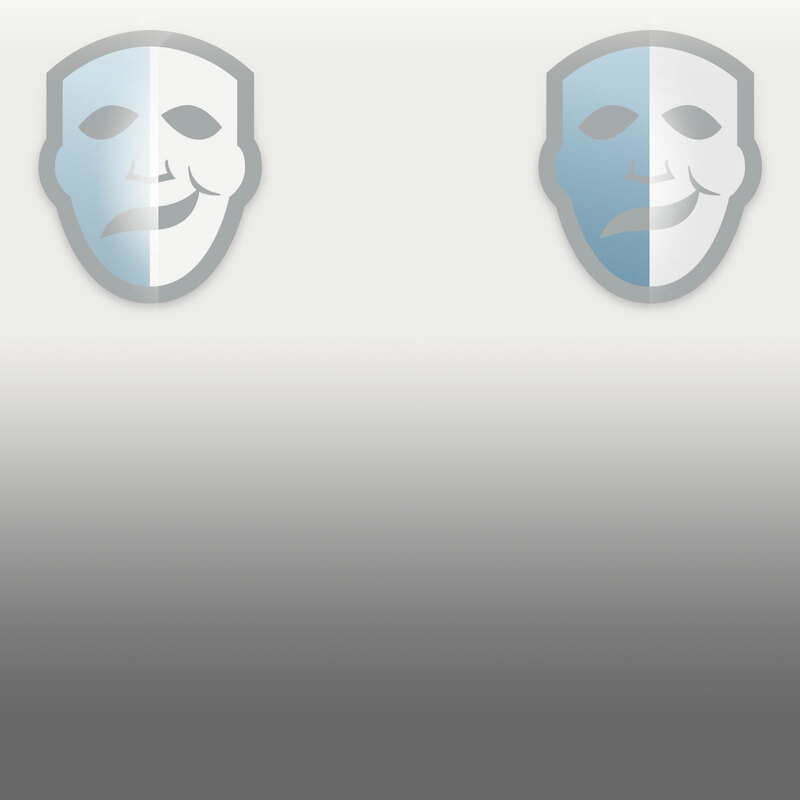 The flyer is a version used in the Season Three episode ‘Provider’ where Wesley (Alexis Denisof) and Gunn (J August Richards) distribute flyers advertising Angel Investigations, and realise too late that the telephone number is printed wrong; the telephone number reads 213-555-0126, when it should read...-0162. 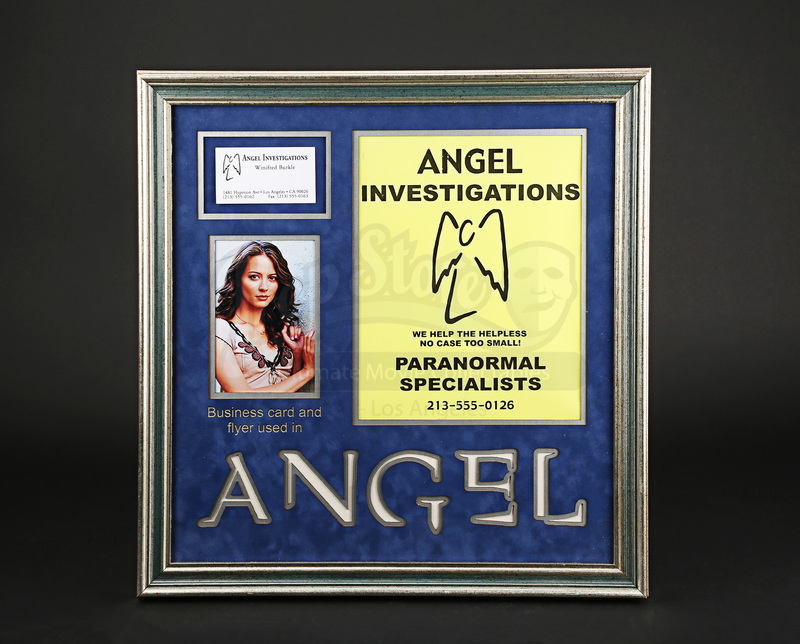 Both items come set under acrylic and custom framed with a laser cut mount board featuring the series title and a character still. 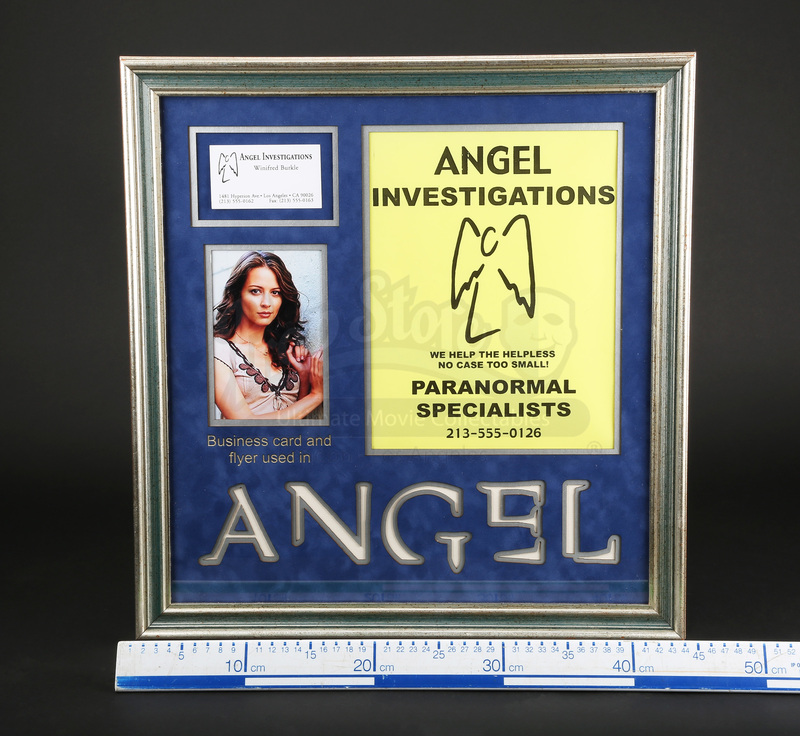 The item shows some minor wear from storage but remains in an otherwise excellent condition. 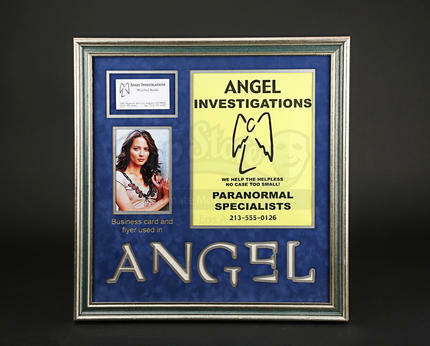 Materials: Ferrous Metal, Wood, Card, Paper, Acrylic.